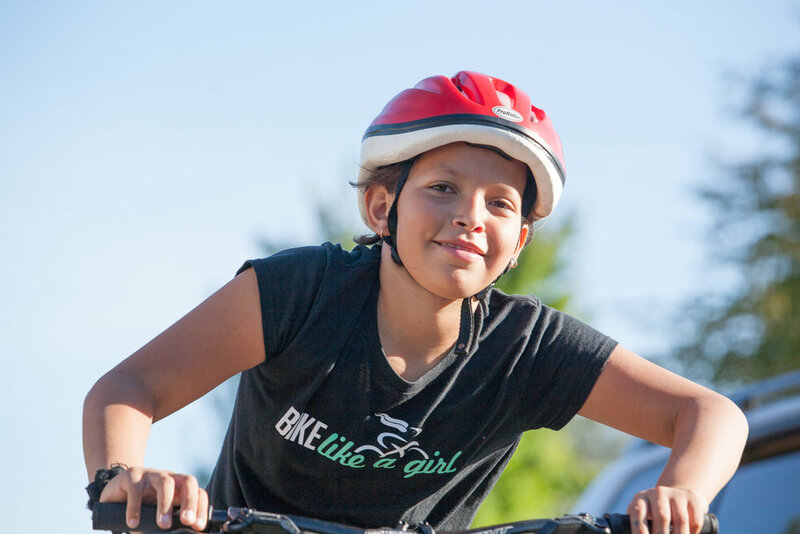 At the core of Bike Like a Girl are our girls cycling camps. 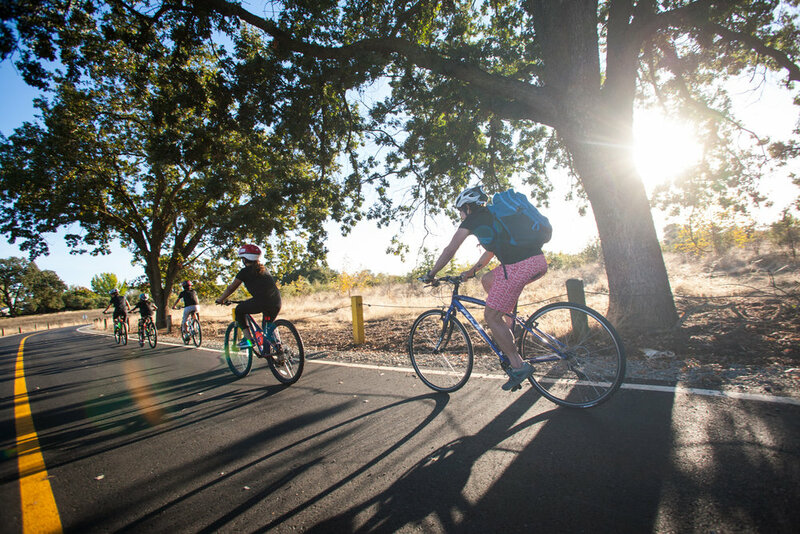 Designed to be fun as well as educational, the camps teach bike skills, life skills, the joy and freedom of riding a bike, and STEM (Science, Technology, Engineering, Math). Stay tuned for our upcoming 2017 camps. What do our campers learn? How gears on a bike work and why they are good to have - there is some fun math involved here! Making a nutritional snack bar which is good for providing energy for riding bikes! 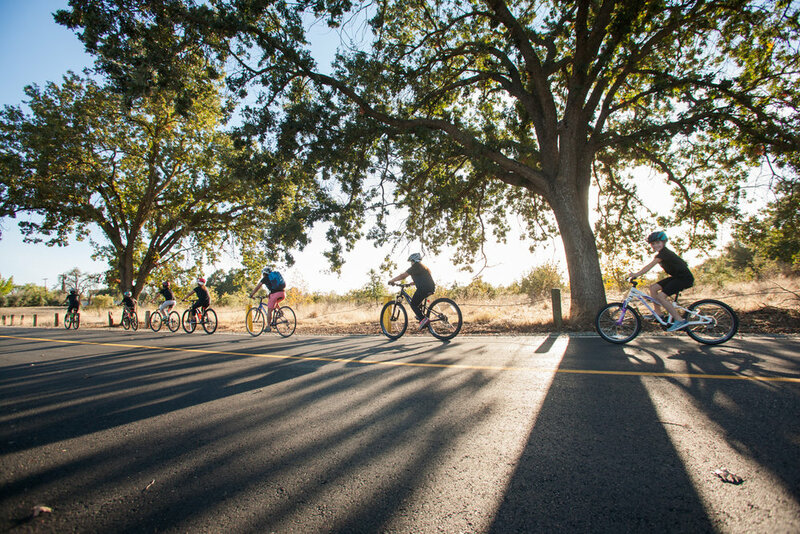 Social skills, confidence, teamwork, and more importantly the joy and freedom experienced when riding a bike! We are always looking for opportunities to partners and run our camps with existing organizations/groups that want to work with us - please contact us if you are interested in working with us! 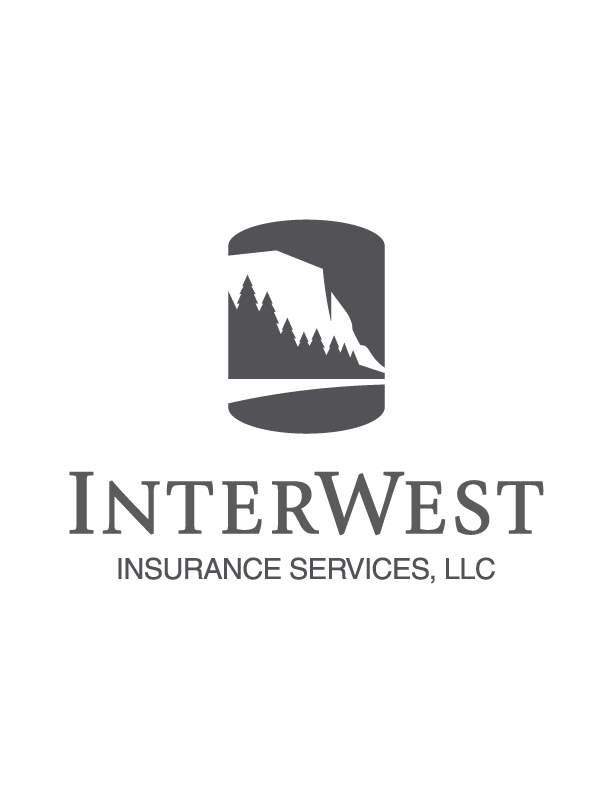 Spring 2017 Spring camp in Reno - in Progress (May 3, 10, 17, 24), stay tuned for updates! 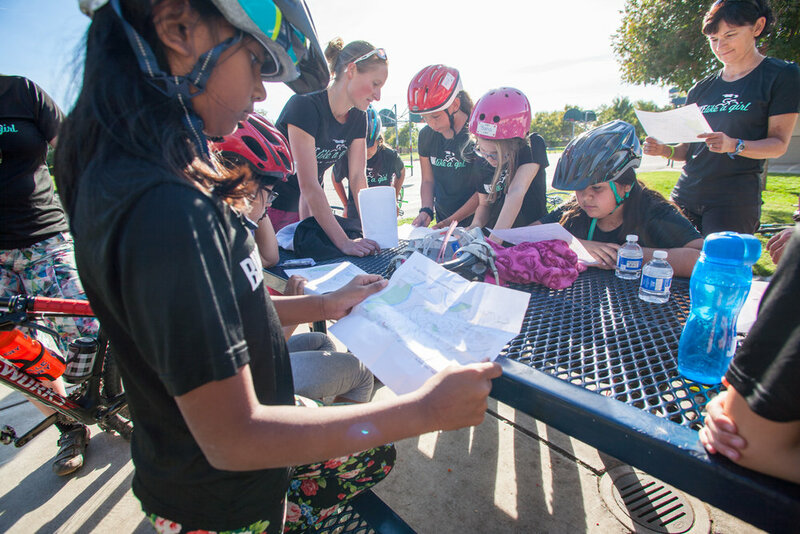 In Fall 2015 we ran our first girls cycling camp in Reno. It was a huge success - we learned a lot, the girls learned a lot and most of all we laughed; a lot. We could not have executed this camp without the support of Kiwanis Bike Program - their knowledge was invaluable. In Fall of 2016 we were fortunate enough to have support from our partners and donors to supply this group of girls with new bikes and helmets. 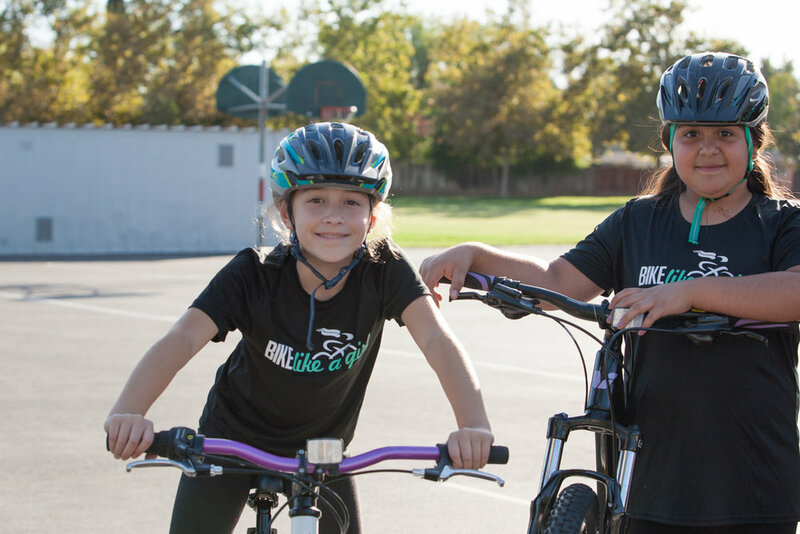 We ran a 4-session camp with the girls making sure they mastered the skills they needed to be safe on their bikes and spent the final session riding with them from their school out along the American River.